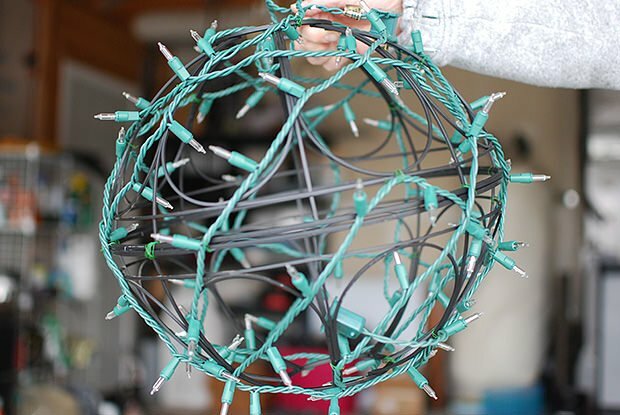 So this is a really simple Christmas light decoration. 1. Wire two wire hanging baskets together to make a globe shape. We used floral wire as shown below. 2. Wrap the globe with white lights. We did a little wire tie every 12 inches or so, just to make sure it all stayed in place. Use your own judgement, you may not need them at all! We used 2, 100 light strings. 3. Hang with the same chain and hardware that came with the hanging baskets. We attached the hooks near where the end of the lights came out, so that the cord could run up the chains and be more hidden. 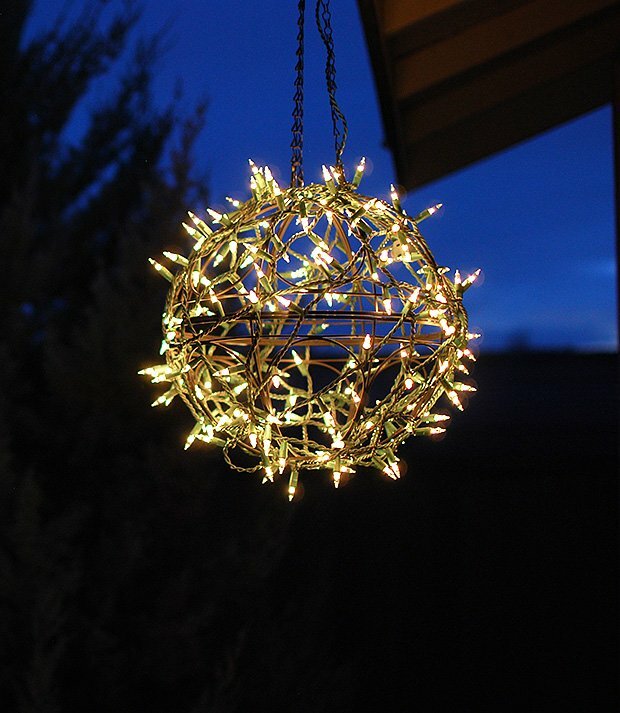 We hung our DIY Christmas light decoration off the eaves of the house, but we think they would look cool laying in the garden as giant “Snowballs” too…. Different sizes? You could have fun with this! Line the front walk with glowing globes? 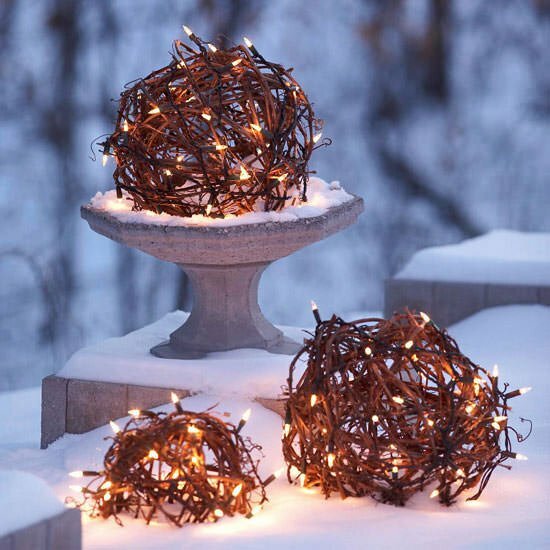 We were inspired by these lighted globes from ‘BHG‘… We discovered those large grapevine spheres are not only hard to find, but pretty expensive even in small sizes. Hence, the hack! How’d we do? 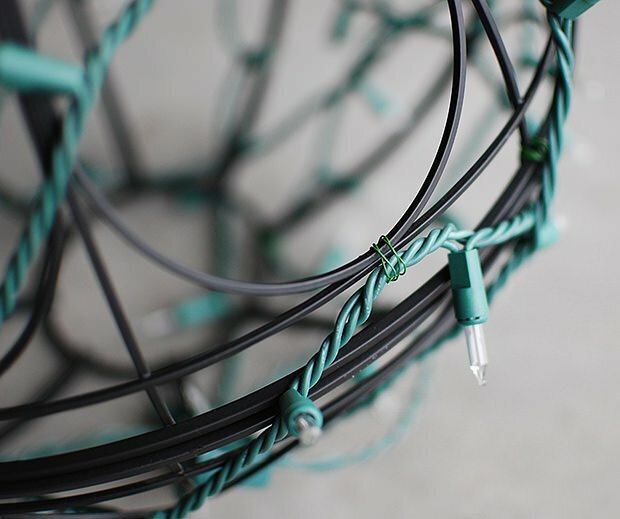 Did you enjoy our DIY Christmas Light Idea? 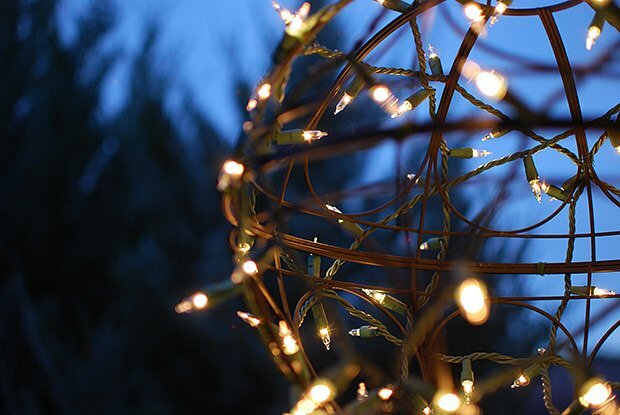 We think you will also love our post on DIY Outdoor Christmas Yard Decorations and DIY Creative OutDoor Christmas Lights! 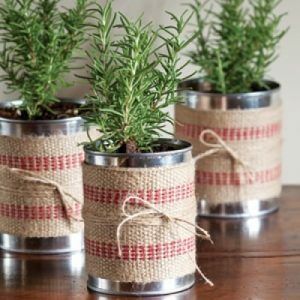 Don’t forget to pin this DIY project for later! How could I make this into a star to use for Christmas outdoor decoration? 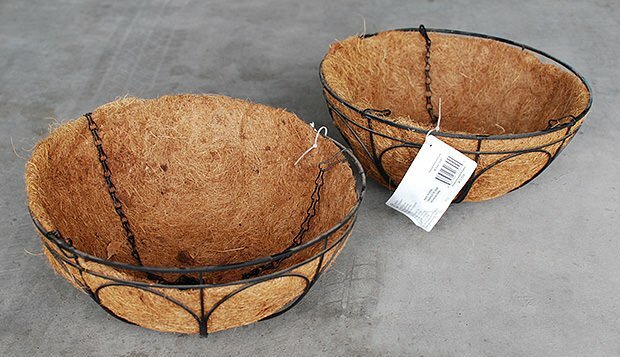 I have some used wire baskets, but trying to think how to transform into a start shape??? These are very lovely. Are those solar bulbs then? I didn’t see a note about plugging these in. I’ll be getting the supplies in time for a New Year’s gathering. Thanks for sharing. Actually, the post did talk about the cord running up the chain, so yes, it plugs in! Thanks for the good idea!! Year around on my patio!!! My husband and I made the lighted “globes” that you make with chicken wire-what a pain in the neck getting them round!! We used up all of the chicken wire we had and everyone that saw them commented how good they look. 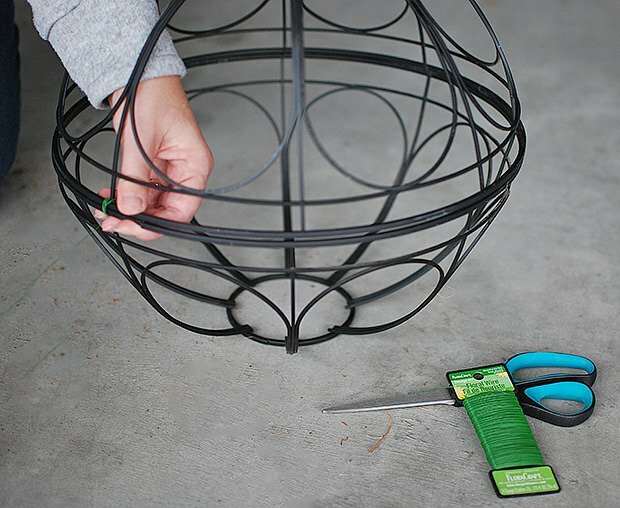 We wanted to make more but swore not to do any more with the chicken wire-I just showed him your idea using the wire baskets-now we’ll make more for sure-looks much simpler. Thanks for the great idea!!! I am assuming this is plugged into an outside outlet. I don’t see any wire. Could you also use battery powered lights? As we said in the post, we ran the cord along the chain… you could use battery powered lights, sure! We struggled to make these as a gift. This would be so much easier! Will make some for ourselves for next year. Thanks! And it plugs in how??? And the ones in the snow plug in how?? As we mentioned int he post, we ran the cord along the chain… We then pugged it into an outdoor outlet. The one int eh snow would be plugged into an outdoor rated extension cord like most holiday decorations! Hope this helps! love love this Idea see it all the time in my area (NC) now I know how to do it! I have just done one like this from barb wire! Wish I can post the pic! Brilliant!!! I’ve been shopping for weeks to find something affordable. I’m going to do several in different sizes if I can find them and hang them from tree branches. They would look great all year long. Thanks so much!! This is just brilliant! 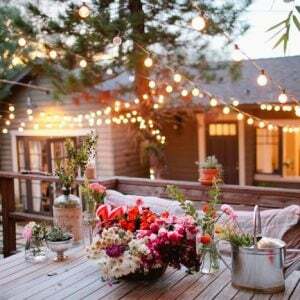 Amazing holiday light and just perfect for outdoor decoration. Love this! Great tutorial, pinned!